THIS COMPANY OFFERS A NIL REFUND POLICY, EXCEPT IN THE CASE OF A COMPASSION CLAUSE AND ONLY WITH THE AUTHORISATION OF THE DIRECTOR PRIOR TO THE SHOW. ONCE YOU PURCHASE YOUR TICKETS ONLINE, THROUGH SEAT ADVISOR, YOU WILL RECEIVE AN EMAIL CONFIRMATION AND YOUR TICKETS AS AN ATTACHMENT. IT IS THEN THAT YOU PRINT THESE TICKETS FOR YOUR ENTRY TO THE SHOW. Q: WHO DO I CONTACT REGARDING A QUESTION OR COMMENT ABOUT ULTIMATE MONSTER SHOWS PTY LTD? 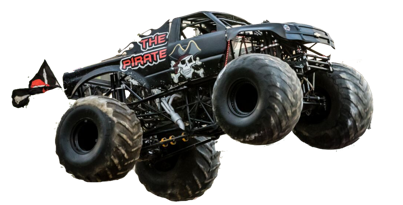 A: YOU MAY CONTACT US DIRECTLY BY EMAIL AT MONSTERTRUCKS.NET.AU@MAIL.COM, OR BY PHONE AT 0404666783. PLEASE INCLUDE A PHONE NUMBER FOR QUICKER CONTACT.